‘Food miles’ is the popular term for the distance your food travels from farm to fork. It has become an issue for debate because it is reckoned that the global scale of the food industry today means that our food now travels fifty per cent further than it did twenty years ago, often literally travelling half way across the planet to reach us. If you shop at a local farm shop, and are buying their own produce, chances are you can see the field it was grown in and will be home with it in less than fifteen miles. Organic produce that is sold locally and directly to the consumer helps the local economy and the environment by reducing transport pollution and excess packaging. A recent report claimed that if all food in the UK was consumed within twenty kilometres of its production, the environmental costs saved would be over £2 billion annually. However, if you get your food from the high street or supermarket, then you might find that eighty per cent of the fruit and vegetables available on the shelves are imported by air-freight. Air transport is bad for the environment because of the amount of aviation fuel used and the pollution caused by emissions. The importing of organic produce arguably consumes more energy than is saved by growing it organically. While this might be excusable for exotic crops that do not grow in the British climate, why are we getting new potatoes from Israel, runner beans from Kenya and lamb from New Zealand? Supermarkets are often blamed. For example, they have given us strawberries from Egypt all year round, while the UK season is only a few months long. Their excuse is that they are only meeting demand. Consumers have become too used to being able to buy the same food at the same price all year, regardless of season, to satisfy exotic recipes; so much so, that many people are no longer aware of seasons or where their food comes from. Importing food from the developing world can also be much cheaper for supermarkets, even with the cost of air transport and fuel. Some also claim that the comparatively small number of UK organic farmers we have at present are not able to supply the large and regular volumes of organic produce that supermarkets require. However, the knock-on effect is that developing countries are less able to be agriculturally self-sufficient themselves, as their land is increasingly given over to export crops. And so the food miles total grows, as countries such as Kenya then have to import food to feed their own populations. There is also the concern that third world farmers are not paid a fair price for their crops in comparison to the profit they are sold at in the UK. 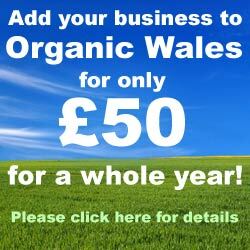 Organic Wales supports the idea of buying food locally by providing a directory of food, drink, gardening, restaurants and holiday accommodation in Wales. There are also listings for vegetable box schemes, farm shops and farmers markets. By buying organic produce locally, or even growing your own fruit and vegetables, you will reintroduce the seasons to your kitchen and considerably reduce the distance your food has travelled to reach your plate.